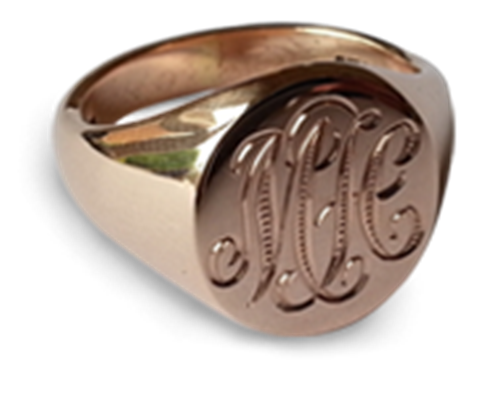 The Classic Oxford Style Gold Signet Ring Company is a family business run by highly skilled master craftsmen with over 35 years of experience in designing and creating the most desirable hand engraved signet rings. A crest is a representation of a family's' heritage and our team of hand Engravers and Goldsmiths understand the importance of creating a unique masterpiece for you and your generations to follow. 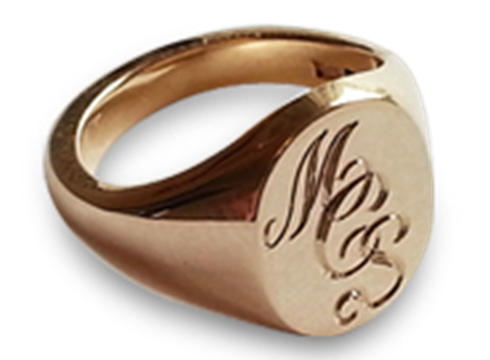 We have worked alongside some of the finest and well established names in the jewellery industry and guarantee to offer the very highest standard of engraving at very competitive prices. Click here for a free online quote. 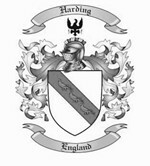 To the left is the full coat of arms belonging to the "Harding" family. 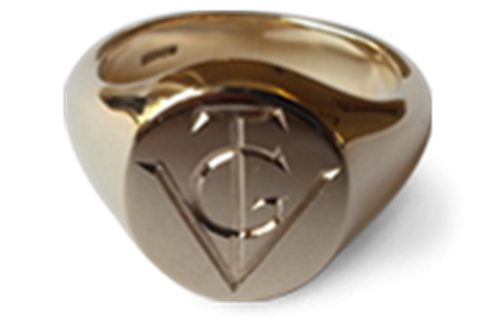 As you can see at the very top, above the helmet sits the family's crest which is the traditional choice of hand engraving on a signet ring. To everyone at The Oxford Gold Signet Ring Company! I cannot thank you enough for the amazing job you did engraving my son's ring for his 21st and ensuring that it was delivered to my sister in time to bring to Australia. 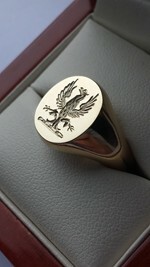 We are absolutely delighted with the end result and most importantly my son is thrilled with his ring. 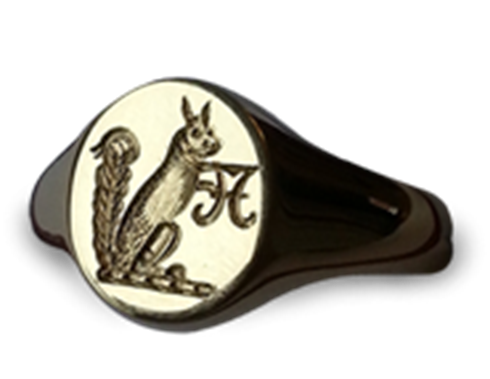 We were absolutely delighted to receive the engraved signet ring in today's post and cannot thank you enough! You have taken a rather battered ring and completely transformed it with both your goldsmithing and engraving skills - it is barely recognisable! We are also very appreciative of it being returned to us in such a smart wooden presentation box. 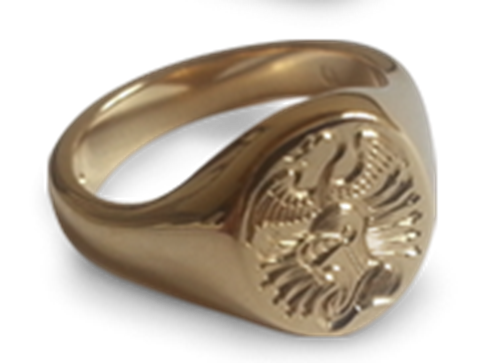 Your service has been impeccable - polite, efficient and honest and we will have no hesitation in recommending Goldcrest Signet Rings in the future ..... and are quite sure this will not be the only business that comes your way from us! We have no doubt that our son will treasure the ring when he receives it for his 21st next week! 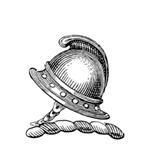 A crest is a component of an heraldic display, so called because it stands on top of a helmet. 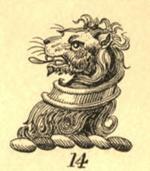 We can also find your family crest, coat of arms in our vast library of historic Family Crests and Coats of Arms, our ancestry expert is waiting to discover a piece of your history, then the artistic work of our master engraver begins, he will produce your family crest or coats of arms for your approval, once this has been approved we will start to create you a masterpiece that you will treasure for a lifetime. 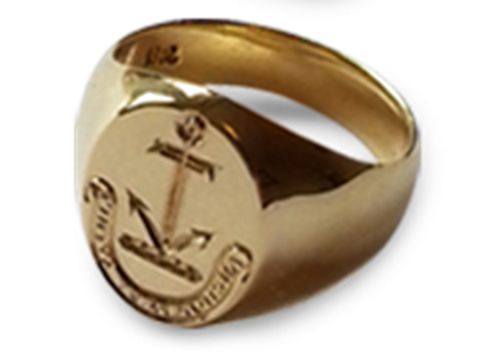 a small seal, especially one set in a ring, used instead of or with a signature to give authentication to an official document. (usually the Signet) the royal seal formerly used for special purposes in England and Scotland, and in Scotland later as the seal of the Court of Session.